Since she was shot two years ago, only Pakistanis who believe in liberal ideas, women's rights, and education for all have praised Malala's struggle. And these unfortunately are no more than a handful. In a country overtaken by Islamists with an absolutist mindset, a very large segment of the population considers Malala's struggle and her near death shooting as some kind of Western and even Zionist conspiracy. Most Pakistanis consider Malala as an American agent who is out to hurt and defame Pakistan. The fact her father has engaged high-priced public relations companies to manage his daughter's affairs has merely added to the credibility of her naysayers. Winning the prize jointly with India's activist for children's rights, Kailash Satyarthi, is certain to add fuel to fire in a country that has always considered India as its arch enemy, where all the efforts of reconciliation by well-meaning people including Nawaz Sharif the current prime minister of Pakistan have been thwarted by Pakistani establishment, led many a times by its army. Ironically Pakistan's Imran Khan has also greeted Malala, but in the province ruled by his political party, Malala's book, "I am Malala" has been banned . 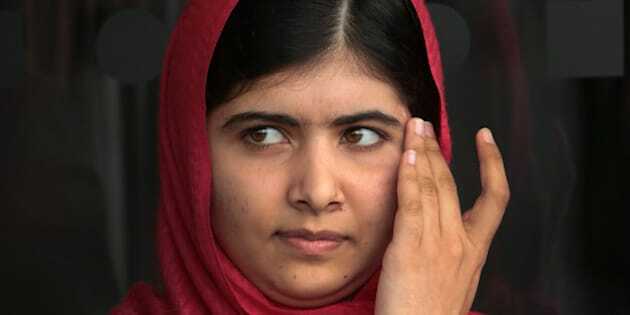 "@ImranKhanPTI will you lift the ban on @MalalaFund book now or still afraid of Talibans?" "@ImranKhanPTI I am Muslim first.Her derogatory remarks against Islam in her book could have stirred reaction. Banning was right." 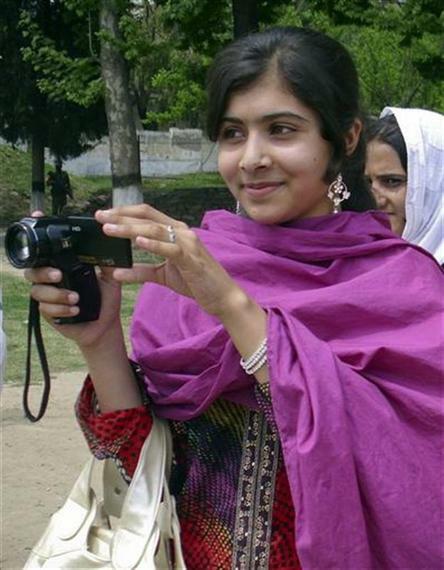 "Malala is a Pakistani student and she is getting a lot of support and patronage abroad. On the surface this is not a bad thing and we welcome this, and there is no objection to the award, but the attack on Malala and then her support in the West creates a lot of suspicions. There are lots of girls in Pakistan who have been martyred in terrorist attacks, women who have been widowed, but no one gives them an award. So these out of the box activities are suspicious." "No wonder on love and sympathy of infidels for Malala as (President) Obama, a mass murderer of Muslims is her hero and her tireless efforts against Islam."